Continuing on from last week’s blog post, we’ve put together a few more activities to do with your children this summer. By keeping their minds activities during these few weeks off, they’ll be fully prepared for school in September. When shopping look for items that are cheaper than a dollar. Ask your children to pick a couple of items so that the total can be bought for $3.50. They’re rewarded with the items they’ve picked! Give your children piles of 5, 10 and 25 cents to count. If you give them fifteen 5 cent coins, how much is the total? How many 10 cent coins will they give you to make a dollar? If you have ten 5 cent coins, ask them how many 10 cent coins will they swap you for them? Most children like to collect money in a piggy bank, so every time they have earned pocket money give it to them in change. When the piggy bank is nearly full ask you children to figure out the best way to count all the money. Big coins first? Make 10s? Put all the same values together? Randomly? Start with a few coins then add more, depending on your child’s confidence. On walks, drives or at home, spot and name any 2D shapes that you see, for example: road signs = triangle and a window = square. Ask you children to draw them and then label them with the name of the shape. From newspapers/magazines, cut out pictures of 2D shapes to make colourful pictures. Use an old food box or greetings card to make a range of 2D shapes. Quadrilaterals and triangles should be easy, as should irregular pentagons, hexagons, heptagons and octagons. 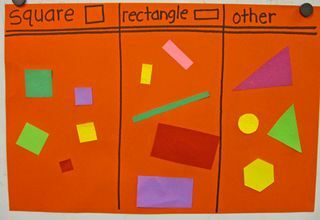 Use accurate ruler skills (or shapes made above) to make a picture using 2D shapes. For example, a house with square windows, rectangular door and circular door handle. Draw and name any 3D shapes that you see at home or on your travels. For example a can = a cylinder, ball = sphere. Ask your children to name them and identify some of their properties. Make a model with ‘junk’ using mathematical names for the shapes. Discuss their properties, for example: vertices (corners), edges and faces. Enjoy! Let us know which ones you try! Over the last few weeks the weather has warmed up considerably and the promise of hot summer days is just around the corner – hurrah! That means outdoor swimming and weekend water park trips… okay maybe we’re getting ahead of ourselves here, but swimming is a super fun activity for children, especially in the summer. 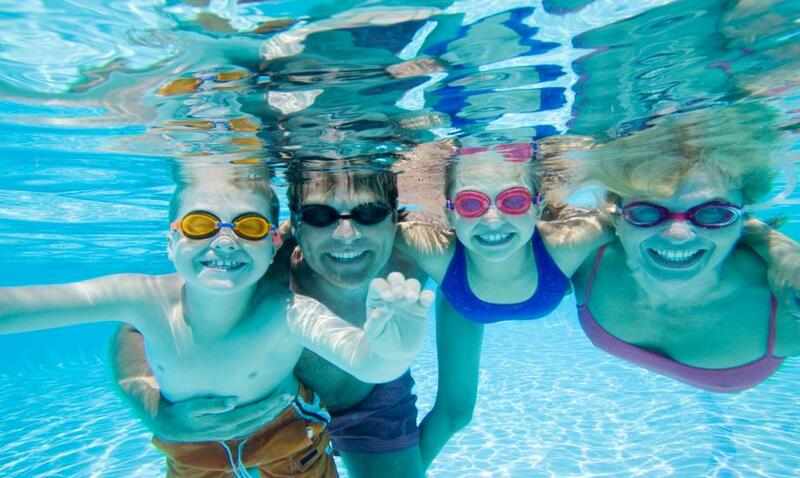 Not only is a fun activity but it’s great for exercise and family bonding, the only downside are the health risks connected to swimming pool chemicals, that’s just a buzz kill. Ventilation, never a bad thing. Also many outdoor pools use salt water, UV or ionization instead of the regular chemicals used to maintain an indoor pool. Did you know that if your kids rinse before they swim it could help to protect them against absorbing the pool chemicals through their skin. A chemical compound called chloramine forms when chlorine reacts with ammonia from sweat. Showering before swimming can remove excess sweat that interacts with chlorine, reducing formation of chloramine on the skin. A family favourite for pretty much everything. Putting coconut oil on your child’s body before swimming could provide the skin with an extra layer of protection. The chemical structure of vitamin c neutralizes chlorine and chloramine. Spray a mixture of powdered vitamin c and water on to your child post swim and rinse in the shower. You can buy topical vitamin c spray online, or make your own.